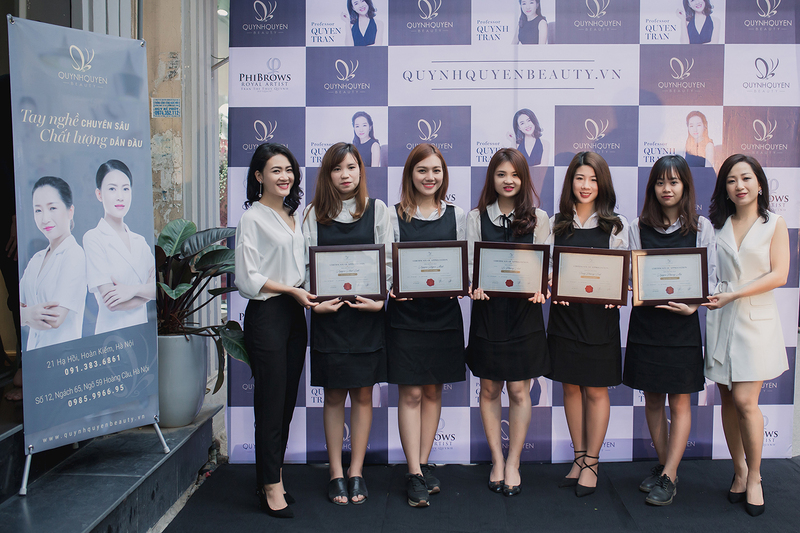 With skillful workmanship and high-quality works, QuynhQuyen Beauty Center is proud of being one of the most prestige beauty center in Ha Noi, Vietnam. As the leader of beauty center, QuynhQuyen Beauty Center supports women on the way to find their own perfect beauty. With the motto “That a customer comes thousand times is better than a thousand customers come once”, we always try our best to take care and satisfy even the fastidious customers. 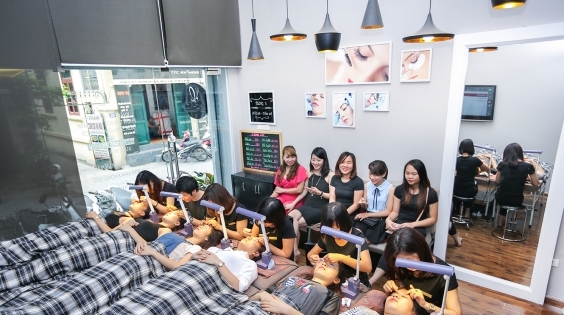 Falling in love with beauty industry by the charms of eyes, professor Quynh Tran started her career from position expert of Eyelashes Extensions – Eyelashes Lifting. 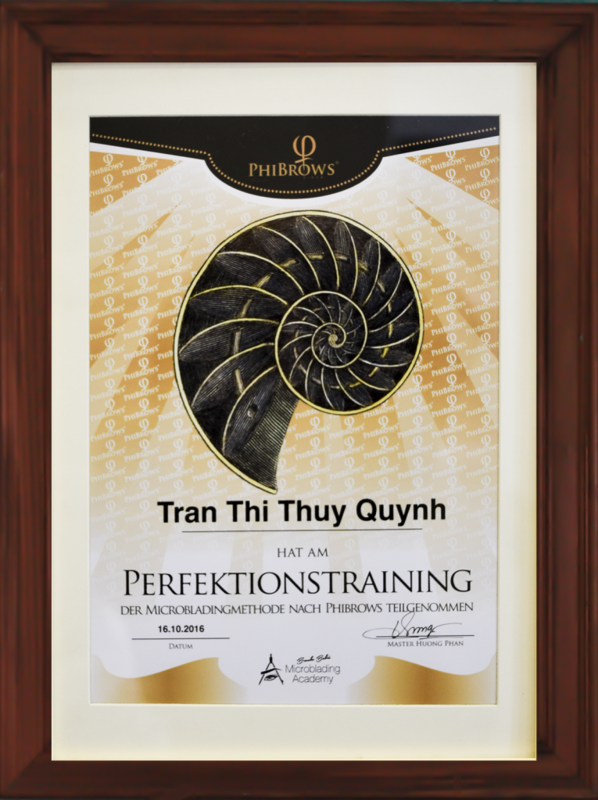 After 7 year – working hard, professor Quynh Tran is proud to be awarded the 1st Master in Hanoi by PhiBrows Academy. By sophisticated skill and professional knowledge, delicate aesthetic mindset, her works are highly appreciated by international group of experts. Inspired by sister, professor Quyen Tran started career in beauty industry 6 years ago. 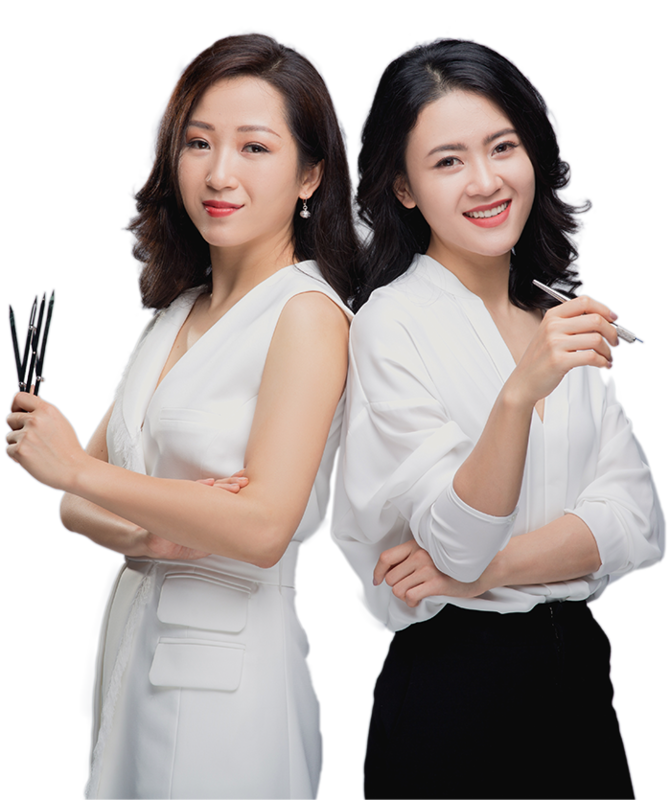 With enthusiasm and eager to learn, she has consecutive enhanced her workmanship and studied other permanent make-up methods, especially lips permanent make-up. After graduating from primary courses, she went to Korea, Hongkong and Japan to research and study so that build an overall and detail knowledge of this technique. With the motto “Accurate, smooth and natural lip color”, her works always has smooth ink stroke and exquisite. Established in 2011, QuynhQuyen Beauty Center is originated from a small eyelashes salon specializing in Eyelashes Extensions and Lifting. The salon was found by expert Quynh Tran and Quyen Tran. 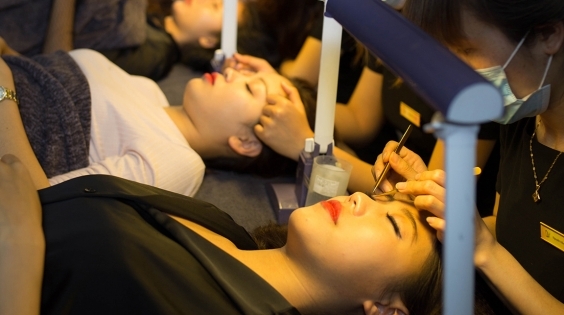 Due to efforts and focusing on enhancing facilities and workmanship, the two beautiful owners has made the salon become the most prestige Beauty Center of Eyelashes Extension – Lifting in Vietnam. Not only that, from 2013, QuynhQuyen Beauty continuously expand the business to other permanent make-up services to satisfy customers’ needs. We constantly search and study advanced techniques from Korea, Japan, Hongkong. 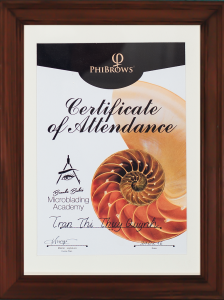 And the most modern and aesthetic method that we had successfully learnt is Eyebrow 3D Microblading from the No.1 Academy in the industry – PhiBrows Academy. With persistent effort and passion, QuynhQuyen Beauty’s expert managed to become the first PhiBrows Master ever in Hanoi and honored by PhiBrows Academy. With the motto “That a customer comes thousand times is better than a thousand customers come once”, we always try our best to take care and satisfy even the fastidious customers. 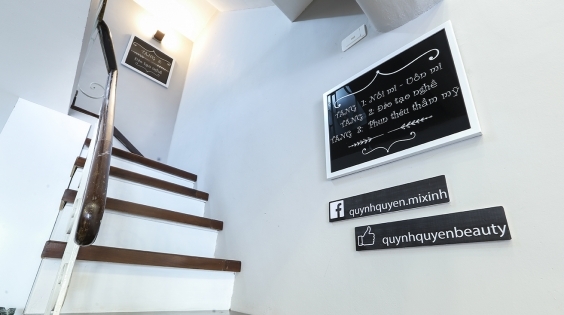 Located on small street Ha Hoi, no.1 branch of QuynhQuyen Beauty has peaceful space. The customers who coming to Ha Hoi branch not only is brighten the outlook by experts but also relax their mind after rush hours. This branch is operated by professor Quynh Tran – Founder of QuynhQuyen Beauty Center, Master of EyeBrow 3D Microblading. 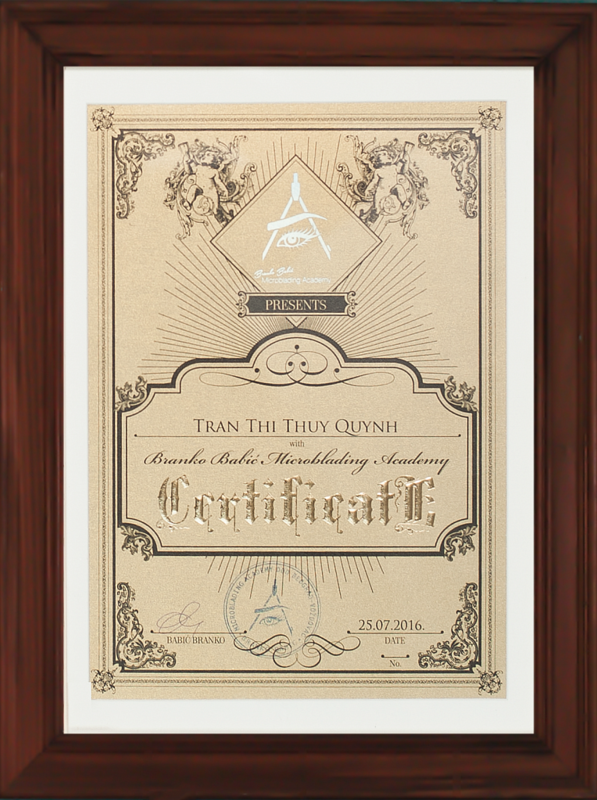 The Hoang Cau Branch is managed by professor Quyen Tran – Co-founder of QuynhQuyen Beauty Center, Expert in Lips Permanent Make-up. 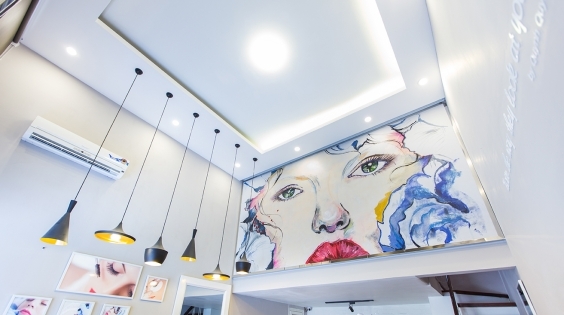 Customers who go to Hoang Cau branch not only find their own seductive beauty but also are inspired by friendliness and humor of Expert Quyen Tran.